Induction of labour is the planned treatment that stimulates childbirth and delivery prior to its spontaneous onset. Inducing labour can be accomplished with pharmaceutical or non-pharmaceutical methods. Every year, 1 in 5 labours are induced in the UK. Most women go into labour naturally (spontaneously) by the time they’re 42 weeks pregnant. Induction is offered to all women who don’t go into labour naturally by 42 weeks, as there’s a higher risk of stillbirth or problems for the baby if pregnancy exceeds 42 weeks. Spontaneous rupture of membranes more than 24 hours before labour starts, has an increased risk of infection and is an indication for induction. There are a number of absolute contraindications to induction including placenta praevia and severe foetal compromise. It is therefore usually a medical decision to deal with a specific problem. There is however an argument in favour of inducing all women at term or shortly after. To assess the effects of a policy of labour induction at or beyond term compared with a policy of awaiting spontaneous labour, or until an indication for birth induction of labour is identified, on pregnancy outcomes for infant and mother. A policy of labour induction at or beyond term compared with expectant management is associated with fewer perinatal deaths and fewer caesarean sections; but more operative vaginal births. NICU admissions were lower and fewer babies had low Apgar scores with induction. No important differences were seen for most of the other maternal and infant outcomes. Methods of inducing labour include both pharmacological medication and mechanical or physical approaches. • Prostaglandin E2 is the most studied compound and with most evidence behind it. A range of different dosage forms are available with a variety of routes possible. Vaginal PGE2 should not be used if there are specific clinical reasons for not using it (in particular the risk of uterine hyper-stimulation). • Intravenous administration of synthetic oxytocin preparations. • “Membrane sweep”, also known as membrane stripping, or “stretch and sweep” during an internal examination, the practitioner moves their finger within the cervix to stimulate and/or separate the membranes around the baby from the cervix. This causes a release of prostaglandins which can help to kick-start labour. • Artificial rupture of the membranes (AROM or ARM) (“breaking the waters”) which is usually done immediately following a membrane sweep. • Cervical balloons catheters and laminaria tents are not used routinely for induction of labour. The most recent reviews on the subject of induction and its effect on Caesarean section indicate that there is no increase with induction and in fact there can be a reduction. Our meta-analysis showed that the risk of caesarean delivery following labour induction was significantly lower than the risk associated with expectant management. This finding supports evidence from systematic reviews but is contrary to prevalent beliefs and information from consumer organizations, guidelines and textbooks. Labour induction was associated with benefits for the fetus and no increased risk of maternal death. In total, 26,670 women delivered in the National Maternity Hospital during the study period. Of these 4,928 women required induction of labour and 72.8% of these (n = 3,586) underwent amniotomy only for induction of labour. Spontaneous labour occurred in 90.1% of the women who underwent amniotomy within 24 h. Oxytocin as an induction agent was employed in 9.8% of cases. Overall, 80.5% of the women had a spontaneous delivery, 7.3% had a ventouse delivery, 4.3% had a forceps delivery, and 7.9% underwent a caesarean section. CONCLUSIONS: Amniotomy is a simple, safe and effective method of induction of labour. If there is a medical indication to induce labour then the decision had been taken to deliver that patient within 24 hours. Induction is an active process and should not be dependent on suitability unless the alternative is immediate caesarean section. 1. Allahyar, J. & Galan, H. “Premature Rupture of the Membranes.”American College of Obstetrics and Gynecologists. 2. Mishanina, E; Rogozinska, E; Thatthi, T; Uddin-Khan, R; Khan, KS; Meads, C (Jun 10, 2014). “Use of labour induction and risk of caesarean delivery: a systematic review and meta-analysis”. CMAJ : Canadian Medical Association Journal. 186 (9): 665–73. 3. Li XM, Wan J, Xu CF, Zhang Y, Fang L, Shi ZJ, Li K (March 2004). “Misoprostol in labor induction of term pregnancy: a meta-analysis”. Chin Med J (Engl). 117 (3): 449–52. 4. Budden, A; Chen, LJ; Henry, A (Oct 9, 2014). “High-dose versus low-dose oxytocin infusion regimens for induction of labour at term”. The Cochrane Database of Systematic Reviews. 10: CD009701. 5. Clark K, Ji H, Feltovich H, Janowski J, Carroll C, Chien EK (May 2006). “Mifepristone-induced cervical ripening: structural, biomechanical, and molecular events”. Am. J. Obstet. Gynecol. 194 (5): 1391–8. 6. Kelly AJ, Kavanagh J, Thomas J (2001). “Relaxin for cervical ripening and induction of labor”. Cochrane Database Syst Rev (2): CD003103. 8. ACOG Committee on Practice Bulletins (2009). “ACOG Practice Bulletin No. 107: Induction of Labor”. Obstetrics & Gynecology. 114 (2, Part 1): 386–397. 10. Heinberg EM, Wood RA, Chambers RB. Elective induction of labor in multiparous women. Does it increase the risk of cesarean section? 2002. J Reprod Med. 47(5):399–403. 12. Caughey, AB; Sundaram, V; Kaimal, AJ; Gienger, A; Cheng, YW; McDonald, KM; Shaffer, BL; Owens, DK; Bravata, DM (Aug 18, 2009). “Systematic review: elective induction of labor versus expectant management of pregnancy”. Annals of Internal Medicine. 151 (4): 252–63, W53–63. 16. Roberts Christine L; Tracy Sally; Peat Brian (2000). “Rates for obstetric intervention among private and public patients in Australia: population based descriptive study”. British Medical Journal. 321: 140. 18. Simpson Kathleen R.; Thorman Kathleen E. (2005). “Obstetric ‘Conveniences’ Elective Induction of Labor, Cesarean Birth on Demand, and Other Potentially Unnecessary Interventions”. Journal of Perinatal and Neonatal Nursing. 19 (2): 134–44. 19. Caughey AB, Nicholson JM, Cheng YW, Lyell DJ, Washington E (2006). “Induction of labor and caesarean delivery by gestational age”. Am Journal of Obstetrics and Gynecology. 195: 700–5. 20. J Caughey A. (8 May 2013). “Induction of labour: does it increase the risk of cesarean delivery?”. BJOG. 121 (6): 658–661. 22. Gülmezoglu AM, Crowther CA, Middleton P, et al Induction of labour for improving birth outcomes for women at or beyond term. Cochrane Database Syst Rev 2012;(6):CD004945. 23. Wennerholm UB, Hagberg H, Brorsson B, et al Induction of labor versus expectant management for post-date pregnancy: Is there sufficient evidence for a change in clinical practice? 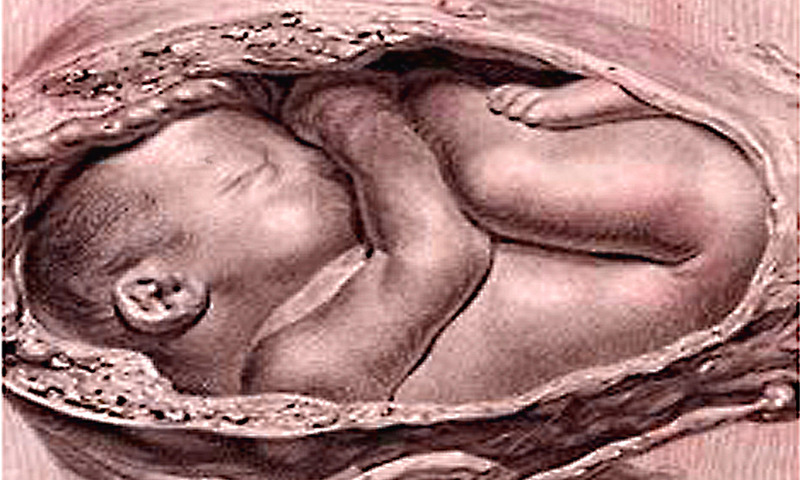 Acta Obstet Gynecol Scand 2009;88:6–17. 24. Wood S, Cooper S, Ross S. Does induction of labour increase the risk of caesarean section? A systematic review and meta-analysis of trials in women with intact membranes. BJOG 2014;121:674–85. 25. Willacy H Labour — active management and induction. Patient.co.uk; 2009. 26. Caesarean section [clinical guideline 132]. London (UK): National Institute for Health and Clinical Excellence; 2004. Nausea and vomiting of pregnancy is a common condition that affects the health of the pregnant woman and her fetus. It can diminish the woman’s quality of life and also significantly contributes to health care costs and time lost from work. Because “morning sickness” is common in early pregnancy, the presence of nausea and vomiting of pregnancy may be minimized by obstetricians, other obstetric providers, and pregnant women and, thus, undertreated. Furthermore, some women do not seek treatment because of concerns about safety of medications. Once nausea and vomiting of pregnancy progresses, it can become more difficult to control symptoms; treatment in the early stages may prevent more serious complications, including hospitalization. Mild cases of nausea and vomiting of pregnancy may be resolved with lifestyle and dietary changes, and safe and effective treatments are available for more severe cases. The woman’s perception of the severity of her symptoms plays a critical role in the decision of whether, when, and how to treat nausea and vomiting of pregnancy. American College of Obstet Gynecol 2015;126:e12-24. Nausea and vomiting is an expectation for the majority of women during the first trimester of pregnancy. In fact, only 25% of pregnancies are unaffected by nausea with or without vomiting. Approximately 35% of all pregnant women are absent from work on at least one occasion through nausea and vomiting. Among affected woman, recurrence in subsequent pregnancies varies. Although the symptoms are often most pronounced in the first trimester, they are by no means confined to it. Despite the usage of the term “morning sickness” in only a minority of cases are symptoms confined to the morning. The severity of symptoms is variable from patient to patient and they typically peak by 9 weeks. With early treatment and dietary counseling, the severity of symptoms diminishes as gestation advances; for most women, symptoms abate or resolve by the end of the first trimester. The etiology is unknown but theories include psychologic predisposition, evolutionary adaptation to protect the woman and fetus from potentially dangerous foods, and the hormonal stimulus of high human chorionic gonadotropin (HCG) and estradiol levels in early pregnancy. Conditions with increased placental mass such as multiple gestations and molar pregnancy are associated with a higher risk for nausea and vomiting. In some women, the condition is severe and progresses to hyperemesis gravidarum, which occurs in 0.3 to 3% of pregnancies. A high risk of recurrence is observed in women with hyperemesis in the first pregnancy. The risk was reduced by a change in paternity. For women with no previous hyperemesis, a long interval between births slightly increased the risk of hyperemesis in the second pregnancy. Treatment of nausea and vomiting depends on the perception of severity. Basic recommendations include avoidance of stimuli that provoke nausea and vomiting such as sensory stimuli to strong odors, and other sensory stimuli such as heat and noises that trigger the labyrinthine areas. Dietary counseling about frequent small meals and avoidance of spicy or fatty foods is appropriate even though the evidence for such recommendation is lacking. A Cochrane Database review found that the use of ginger products may be helpful to women, but the evidence of effectiveness was limited and not consistent. There was only limited evidence from trials to support the use of pharmacological agents including vitamin B6, and anti-emetic drugs to relieve mild or moderate nausea and vomiting. Matthews A, Haas DM, O’Mathuna DP, Dowswell T, Doyle M. Interventions for nausea and vomiting in early pregnancy. Cochrane Database of systematic Reviews 2014, Issue 3. A single blind randomized controlled trial to determine whether acupuncture reduced nausea, dry retching, and vomiting, and improved the health status of women in pregnancy was undertaken at a maternity teaching hospital in Adelaide, Australia. 593 women less than 14 weeks’ pregnant with symptoms of nausea or vomiting were randomized into 4 groups: traditional acupuncture, pericardium 6 (p6) acupuncture, sham acupuncture, or no acupuncture (control). Treatment was administered weekly for 4 weeks. They found that acupuncture was an effective treatment for women who experience nausea and dry retching in early pregnancy. Smith C, Crowther C, Beilby J.
Simon, Eric & Schwartz, Jennifer. (1999). Medical Hypnosis for Hyperemesis Gravidarum. Birth. 26. 248 – 254. 10.1046/j.1523-536x.1999.00248.x. Hyperemesis gravidarum in pregnancy is a serious condition that is often resistant to conservative treatments. Medical hypnosis is a well-documented alternative treatment. This article reviews the empirical studies of medical hypnosis for treating hyperemesis gravidarum, explains basic concepts, and details the treatment mechanisms. It is suggested that medical hypnosis should be considered as an adjunctive treatment option for those women with hyperemesis gravidarum. It is also stressed that medical hypnosis can be used to treat common morning sickness that is experienced by up to 80 percent of pregnant women. Its use could allow a more comfortable pregnancy and healthier foetal development, and could prevent cases that might otherwise proceed to full-blown hyperemesis gravidarum.